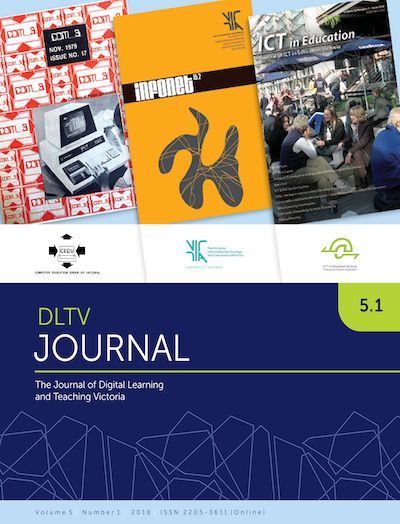 In a very special edition of the DLTV Journal we take a look back at the last 40 years of digital education in Victoria. We open up the time capsule and look at the formation of CEGV in 1979. There is also a farewell to a valued member of our community, a celebration of the DLTV awards, and an exploration of topics such as game design, flexible learning spaces and the value of robots in special needs settings.